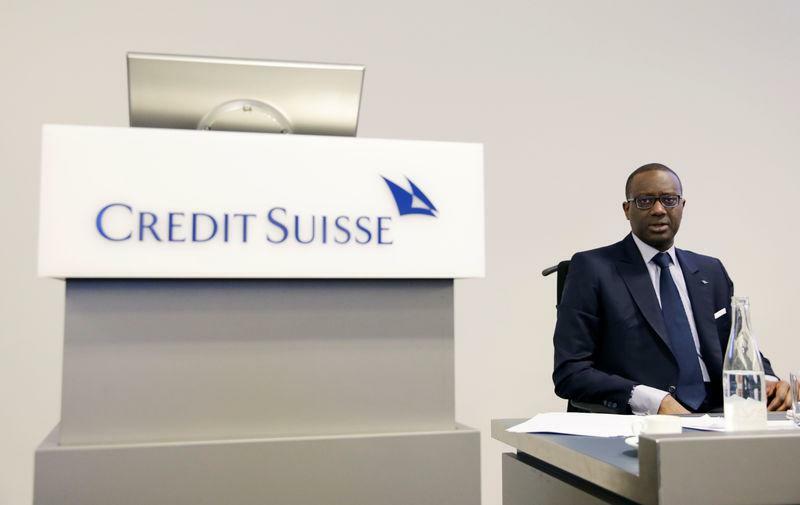 ZURICH (Reuters) - Credit Suisse Chief Executive Tidjane Thiam has no intention of stepping down, he said in an interview with Swiss newspaper Finanz und Wirtschaft published on Tuesday. The bank last month posted its third straight annual loss but was upbeat on prospects for 2018 as it enters the last leg of Thiam's three-year overhaul, which has drawn criticism from activist investor Rudolf Bohli. "It is a privilege to be at the helm of Credit Suisse – I am here to stay," he said in reply to a question on how he imagined Switzerland's second-biggest bank five years from now.